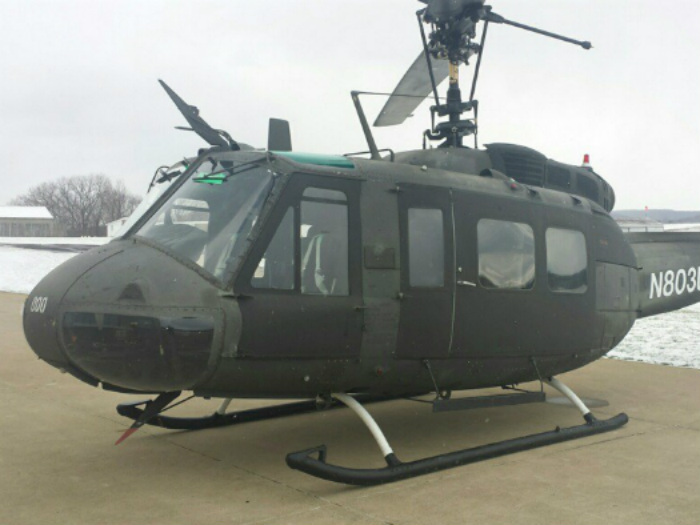 PAC International recently completed maintenance and exterior refurbishments on the first of two Bell UH1-H aircraft for the Michigan State Police. PAC utilized their state-of-the-art soft media blast booth to remove the majority of the aircraft’s original paint. “This aircraft had the original military CARC (Chemical Agent Resistant Coating) paint which was extremely hard to sand. This paint is used on military vehicles to make metal surfaces highly resistant to corrosion and penetration of chemical agents”, said Bryan Fisher, Paint Supervisor at PAC. Once the paint was removed, the airframe was found to be in excellent condition and free of corrosion. The end result is a superior finish that will last for many years to come. Michigan State Police’s Aviation Unit works closely with all Michigan law enforcement agencies, as well as the Michigan National Guard and the United States Coast Guard air stations. The Aviation Unit has a fleet of aircraft based out of Lansing’s Capital Region International Airport, with satellite offices in Saginaw and Ypsilanti. Aircraft include a Beech King Air 90, Cessna 182R, Bell 206L3, Bell 407GX, and two Bell UH1-H Hueys. They also operate two Aeryon SkyRanger Unmanned Aircraft Systems (UASs). The unit also uses a downlink truck, which receives live video feeds from the helicopters or UAS, providing ground commanders with increased situational awareness of critical incidents. PAC International has a worldwide reputation for providing a wide range of innovative, customer focused, and high-quality helicopter completion and customizing services. PAC has painted hundreds of aircraft over the past 30+ years and provided custom interior fabrication and avionics installations for a wide range of both domestic and international customers.